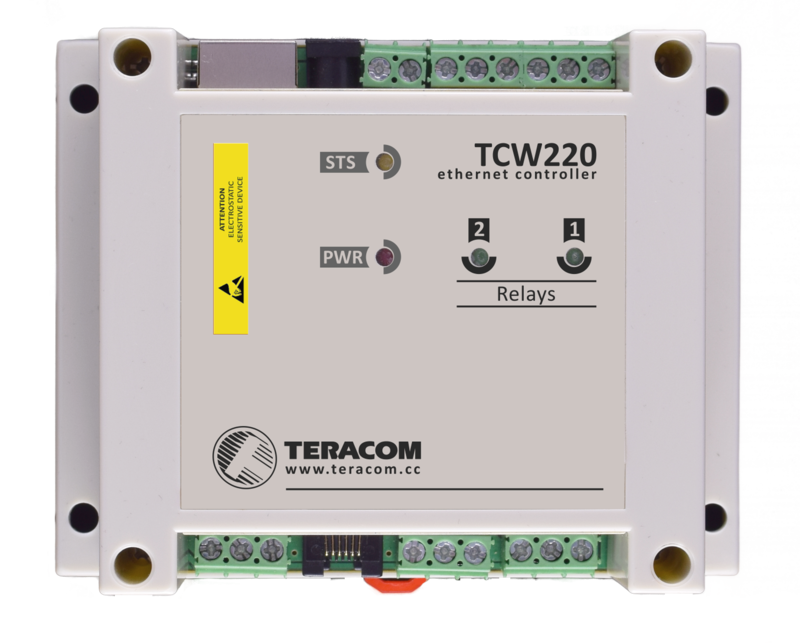 TCW220 is an Ethernet data logger for general data acquisition applications. It has 2 analog inputs, with 10-bit resolution and 2 discrete inputs.It utilizes 1-Wire interface for up to 8 Teracom 1-Wire sensors – carbon dioxide, 0/20mA, AC/DC current, temperature, humidity etc.) 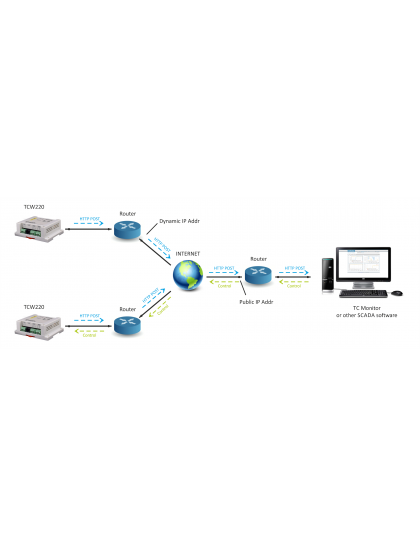 The Ethernet data logger also has 2 relays with normally open and normally close contacts. - Ethernet data logger for storage facilities.